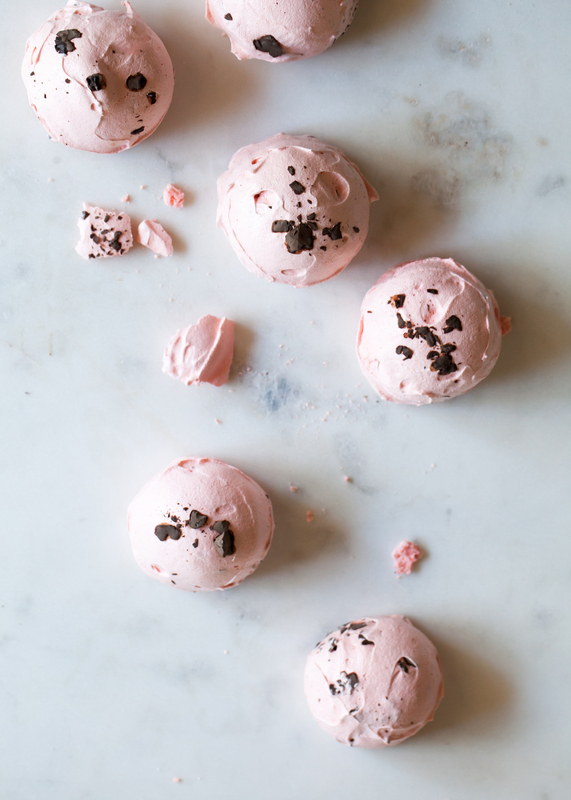 Rose Chocolate Meringues. Photo by Tessa Huff for The Kitchn. Hi everyone! If you follow along with my social media, then you probably already know this. But.... BAKING SCHOOL is here! One week into it, actually. Over on my favourite food site, The Kitchn, my editors and I created a month-long baking and pastry program. I wrote all of the content, while the rest of the team put together some amazing recipes, photos, videos, graphics, and more! It is awesome and you should all join in! Really, it's not too late to sign up and you can make the recipes/do the "homework" at your leisure. What is Baking School? Baking School is 20 lessons in 20 days (running the entire month of October - although it may stay up online indefinitely). Each week we discover a new ingredient and what role it plays in the pastry kitchen. Then, we dive in and explore some staple recipes and baking methods using the ingredient of the week. For example, next week is all about BUTTER. We will learn how butter not only adds flavour, fat, and moistness to a recipe, but also how it is used to make cakes rise (through creaming) and pie crusts and croissants nice and flakey. Sprinkled in are tips, tricks, recipes, videos, photos, and more to further your knowledge on each subject. You'll get some mini science lessons on how baking actually works, learn some new vocabulary and French techniques, and receive visual guides as well as written text (by me!) on all that you will ever need to know to bake anything from pate a choux to sourdough bread to awesome layer cakes (you all know that will be my favourite lesson, hehe). 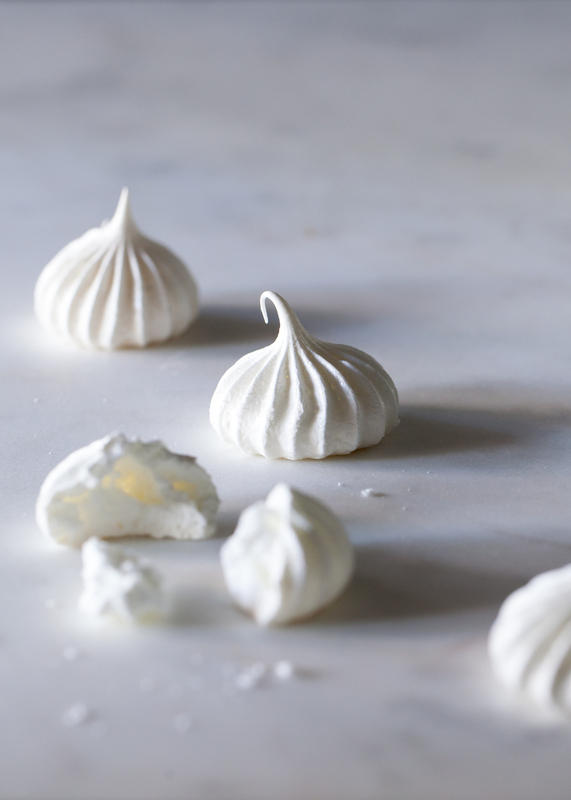 Meringue. Photo by Tessa Huff for The Kitchn. "Have you ever dreamed of going to pastry school — in Paris, perhaps? Do you lust after show-stopping layer cakes? Do you desire the secrets of perfect chewy cookies? Are you contemplating the mysteries of a sourdough starter, or just wish you were a more adept and confident bread baker? Now is your moment, becauseBaking School is coming to The Kitchn! It's a free 20-day program to become a better baker. You can follow along at home, and it's all happening here. Baking School will take you beyond just recipes and lists of ingredients. Instead, over the course of 20 lessons in 20 days, we will be learning, discussing, and practicing all the fundamental techniques that make us better bakers. We will touch on classic French pastry, bread baking, cake decorating, and more. You'll walk through some of the swankiest types of baking to make you feel like you did indeed touch down in Paris, croissant in hand; but with plenty of helpful, practical basics as well, like bread, cookies, and those glorious layer cakes. Not only will we explore a few dozen different pastries and baking methods, we will also take a peek at some of the science involved in turning dough and raw ingredients into tender pastries and delicious baked goods. We will be adding a few new words to your vocabulary (can we say pâte à choux and dorure? ), taking a look at how things like egg proteins and gluten work, and even getting familiar with some friendly lactobacilli in the form of sourdough yeast." Have you signed up yet? What are you waiting for?! And tell your friends - Baking School for everyone! Plus, it would probably be fun to play along with a buddy. If not, I'll be there. Be sure to be tagging all of your creations with #kitchnbakingschool and leave me your questions/comments on each post. While you can certainly do the assignments and make the recipes whenever you want, I will be doing my best to answer your questions at the end of each day. 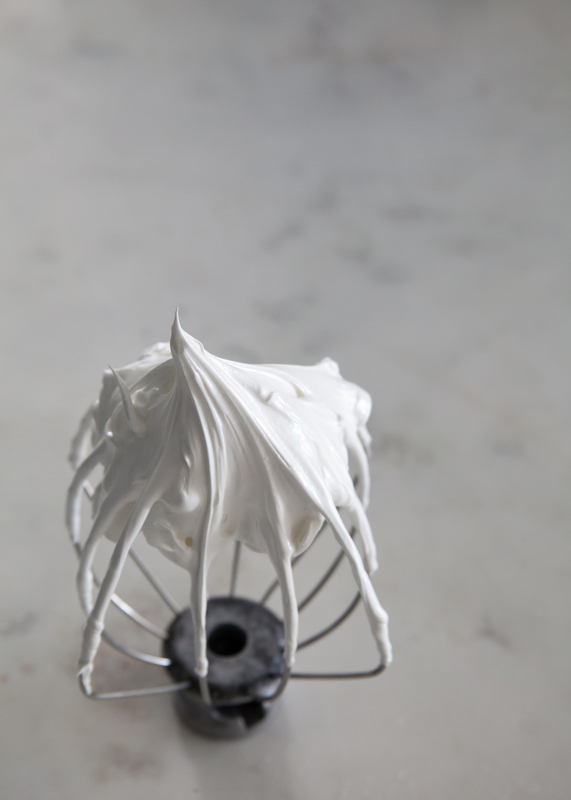 Meringue Kisses. Photo by Tessa Huff for The Kitchn. Week 1 was all about EGGS! We talked about different types of eggs, what they do when bakes, what happens when you whip the whites, etc. So far, we made pate a choux (for cream puffs and eclairs), pastry cream, meringue, and soufflé! I even made some rose + chocolate meringue cookies and a giant, cheesy soufflé to play along. Still to come: butter (buttercream, pie and tart doughs, and puff pastry), yeast (everyday bread, rich sweet dough - like cinnamon rolls and brioche! - sourdough, and croissants), and sugar (cookies, dessert sauces, cakes and cake decorating!!!!). So head on over the The Kitchn and sign up!